From the moment that I discovered Armour Etch I have been creating unique gifts for my friends and family by etching glass. My Cricut makes it very easy to cut a stencil into vinyl, which adheres to the glass well and creates a perfect etch every time. 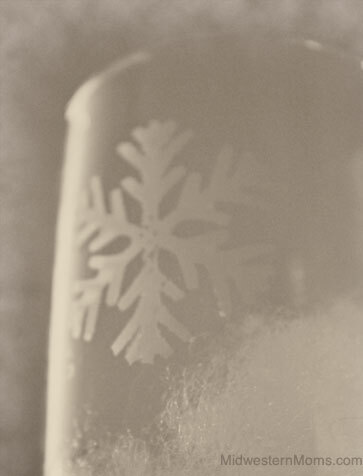 Today I downloaded a snowflake and decided to put it on a champagne glass. I plan on creating a set of these for some friends to give away with a bottle of champagne for Christmas presents. 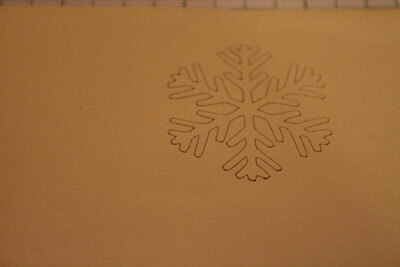 Step 1: Using your cutting machine, cut a snowflake template into vinyl. Step 2: Apply the vinyl stencil to clean glass. Step 3: Apply a generous amount of Armour Etch to the area using a foam brush. Let sit for 5-7 minutes. Be sure to read the instructions fully on the Armour Etch as it is dangerous if it comes into contact with your skin. Never use around children. Step 4: Run water over the area, rinsing the etch off of the glass. Remove the stencil and dry. This project is a very fast project and I think the result comes out looking very sharp. Imagine the possibilities! I hope you loved this project and will stop over to visit Amber’s project for today – a paper snowflake! How fun! I never knew you could do something like this yourself. Great tutorial!